Portrait of of the men working in a slaughterhouse in Algiers. The film looks at what the men do and takes time to talk to them and get to know what they feel and why. For me this is a good little film that got lost in the crush of other films at this years Art of the Real. 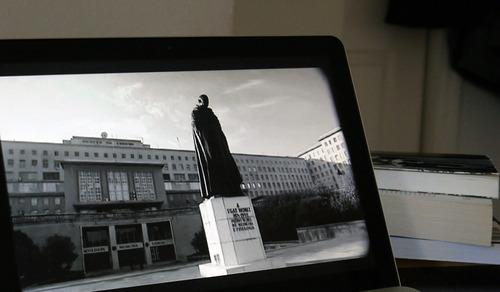 Cinematic essay about how the filmmaker saw a documentary on a neurosurgeon he knew nothing about but was struck by the memory of seeing a statue in his honor. He then sets off to find the statue but ends up reminiscing about his father who was also a surgeon. Interesting cine-essay mixes fact and memory to create and intriguing examination of life and what we remember about it. 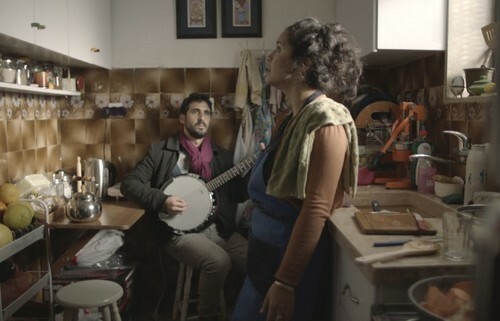 Closing Night Film of Art of the Real is Jumana Manna's look at ethnic music in and around what was once Palestine. A mix of staged moments and in the moment happenings the film. I have mixed feelings about the film. The artistic shots of landscapes and such and the interviews are nice but it's the music that makes this film soar. Watching the film I enjoyed myself for what it is but I didn't really connect until the film gets to the too few musical sections.